York Catholic District School Board participates in the response of the Church to the commission of Jesus to… “…go and make disciples of all nations, baptizing them in the name of the Father and of the Son and of the Holy Spirit,” (Matthew 28:19). As a Catholic Education System, we are informed primarily by this mission of the church. We are to be the presence of Christ, and to bring knowledge of Christ and the faith of the Church to the students and families in our care. This commitment to the virtues, values, traditions and teachings of the Catholic Church is part of the teaching mission of Catholic educators. It also informs our commitment to live out our mission and vision towards excellence, equity and inclusion, fiscal responsibility, integrity and respect. Catholic Education at YCDSB is committed to excellence. Each member of our community is part of a Divine plan to prosper, to give hope and to shape a future. As a Catholic educational system, we recognize that each student, and staff member, is called by God to reach his/her full potential as they work to build the Reign of God on earth. Every student is called to develop in wisdom and knowledge, and to discern his/her own vocation from God. At the same time, we are committed to continuing the educational tradition of the Church to support faith through knowledge and reason. With the Ontario Catholic Graduate Expectations as a guide, York Catholic District School Board’s mission is to bring the Catholic dimension to all curriculum areas through program planning and delivery. Equity at YCDSB is a core value that calls us to recognize that all those we serve in our community are created in the image of God. Each person, bringing gifts to our school and broader community, is to be celebrated and encouraged to grow in Christ. When we live our true call to be the presence of Jesus in our world, we give voice to each of our sisters and brothers. By doing so, we invite a common sense of purpose and belonging that links us in our humanity and faith. We honour the diversity and complexity that underlie the essential personhood of each human being. As a Catholic educational institution, we recognize that fiscal responsibility is a key part of living our call to be good stewards of the gifts we are given. Good stewardship necessitates that honesty, integrity, responsibility, accountability and transparency are the cornerstones of our commitment to the effective use of our resources for the common good of all. As a Catholic Educational Community, we must challenge any belief that excludes others. By doing this we ensure that our staff and students are empowered to build welcoming, safe and inclusive school communities. It is essential, therefore, that we highlight the teachings of the Church that encourage us to include and respect all individuals. 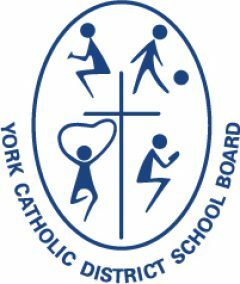 York Catholic District School Board is committed to the virtues of integrity and honesty in our interactions and communications within and beyond our community. The commitment to transparency and accountability is an expression of these very virtues. Respect and reverence for God, self and others is integral to our mission. Reverence, a gift of the Holy Spirit, respects the God given dignity of each person. This informs our teaching and learning, our faith life and pastoral care at York Catholic.